Guaranteed to work with any printer and to be the last refill kit you'll ever buy! 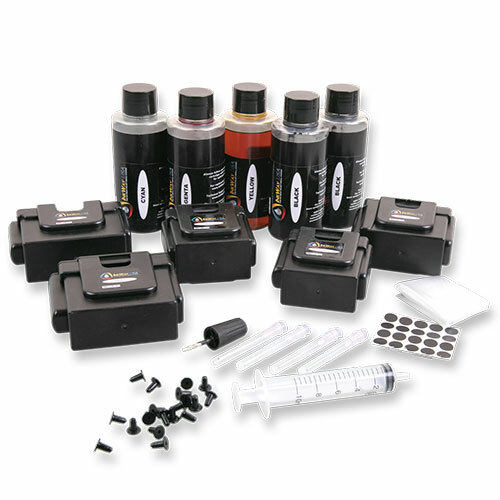 This No Mess ink refill kit delivers over 450 cartridges worth of refills so you can refill, reuse and save over and over! The no-mess design features a special refill --station plus a CD with step-by-step instructions to make refilling a breeze. Comes with 5 high quality ink formulations (2 black, 1 cyan, 1 yellow and 1 magenta), 36-pc. tool kit and unlimited free ink when you run out (just pay their shipping charge).